One day I was just browsing at the Born Pretty Store, and I came across the stamping image plate that instantly captured my attention. That usually never happens. I have to go through reviews and swatches before I decide to buy something, but this one was an eye-catcher. And I just had to have it. So much for just browsing, right? 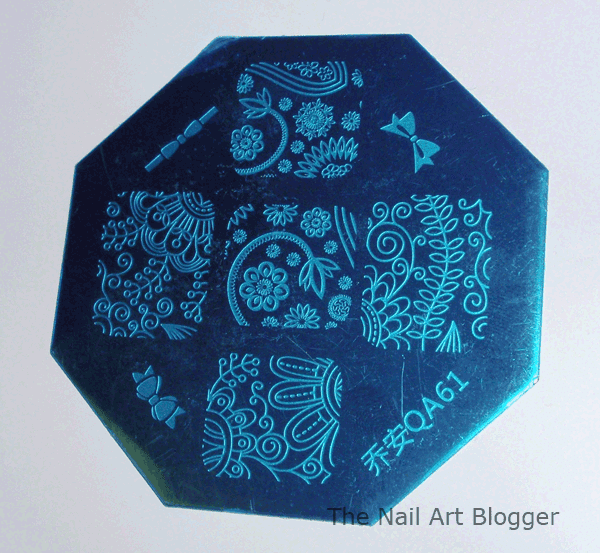 The plate, just as any other stamping plate, comes with a blue plastic cover which you need to remove before you start stamping. I love the designs on this one. They remind me of Spring, and the Middle East. I think that was the reason it caught my attention. And the little bows are just so cute! The images transferred very well, to the smallest detail. After I tried them on a piece of paper, I immediately decided to do my nails, which I had painted only a day before. It was time to put those lovely designs to work! For the base coat I used a layer of the XXL nail protector from Essence. I really love that base coat. Unfortunately they have decided to discontinue it. I will have to find a new alternative once this one is finished, which won't be that long. For the base color I used the #155 red ahead, which is also by Essence. 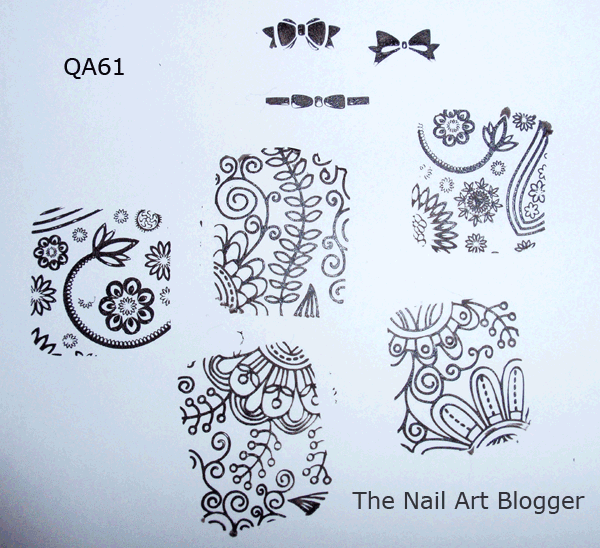 And for the stamping I used the #05 wonder wow! man! from the Superheroes trend edition by Essence. This was my first ever golden nail polish and I am very pleased with it. 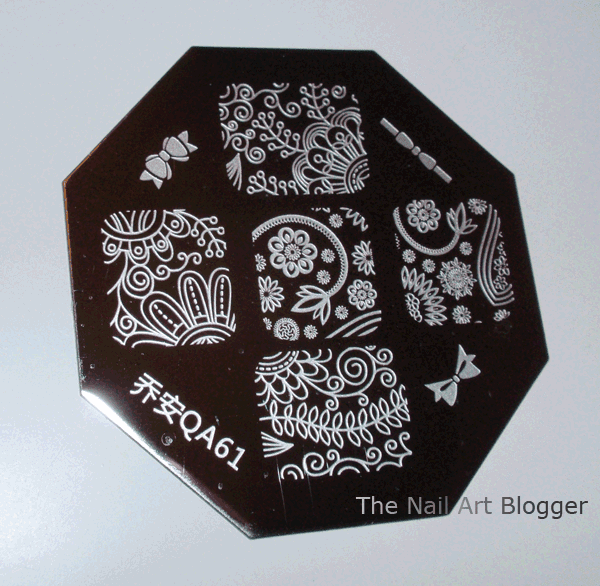 I finished off the design with a matte top coat from Kiko, called 3-in-1 mat. I love the effect a matte top coat gives to some nail art designs. I find myself using it quite often. And with this one, I think it was a nice combination. Unfortunately, I had made this nail art a month ago and I didn't save the other photos I had made apart from this one. A rookie's mistake I guess. What do you think about the designs of this image plate? What colors would you use it with? It's a really nice place, I like those designs. You're manicure is very beautiful, I like the colors you used too!